Kùlú Mèlé African Dance and Drum Ensemble performing Yemaya (Philadelphia, 2014). Photo: Jaci Downs. 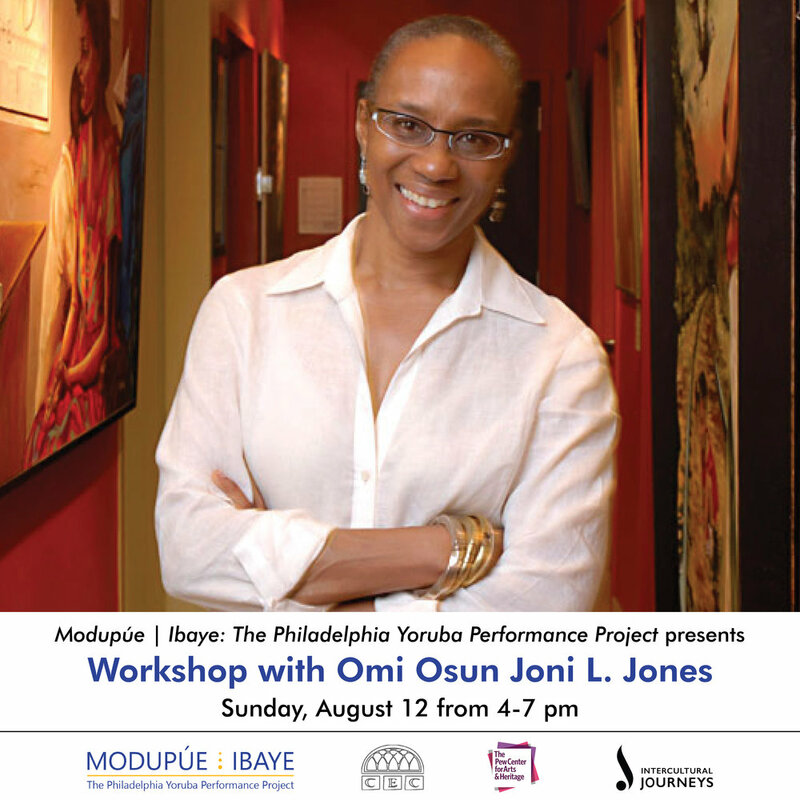 Explore the power of Philadelphia's rich, diverse lineage of Yoruba-rooted performance traditions with Intercultural Journeys. 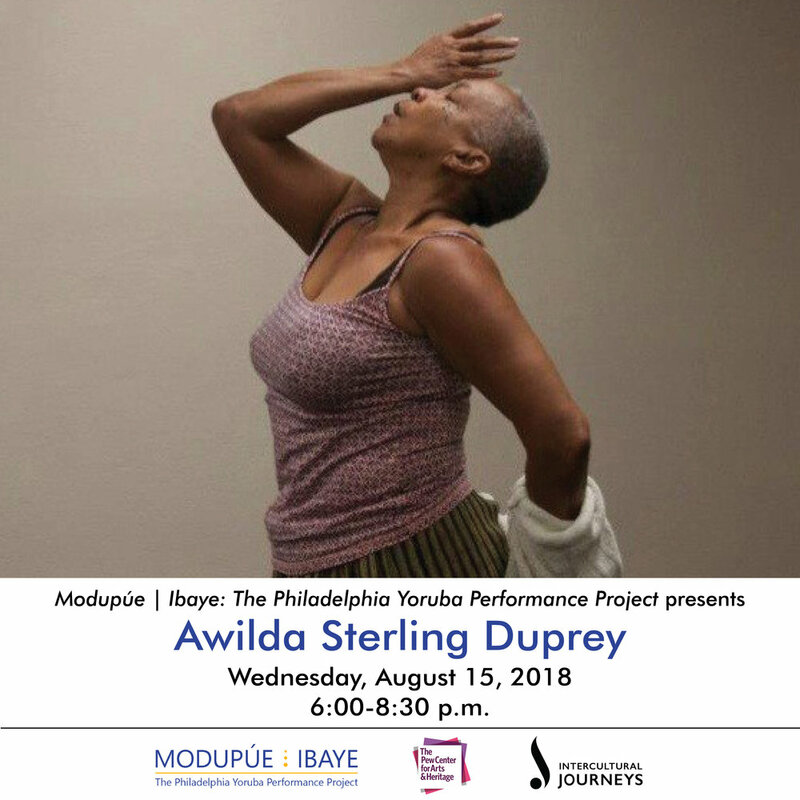 Over the two year project arc, the living and embodied histories of these traditions will transform into public events as dynamic and vibrant as the Philadelphia Yoruba communities in which they exist. Led by Germaine Ingram, Alex Shaw, Lela Aisha Jones, and Dorothy Wilkie, the project activates performance as research, engaging intimately with community historians, local masters, and spiritual and cultural practitioners through story circles and artist-led exploratory workshops. 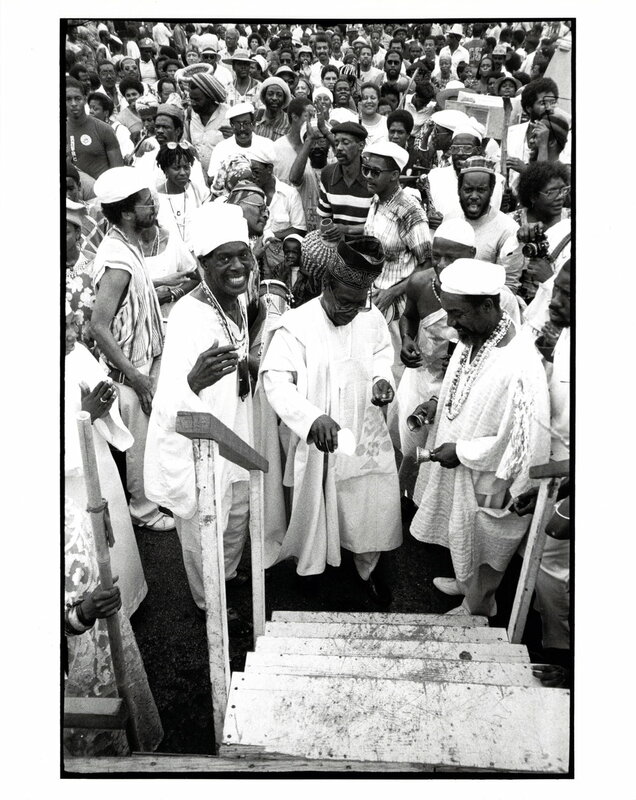 Throughout the project, IJ and the project leaders will archive and share the results of this research through engagements and events that are as multi-dimensional, dynamic, and vibrant as Yoruba-rooted traditions themselves. Dorothy Wilkie as Oshun (Philadelphia, 1990). Photographer: unknown. Photo courtesy of Dorothy Wilkie. 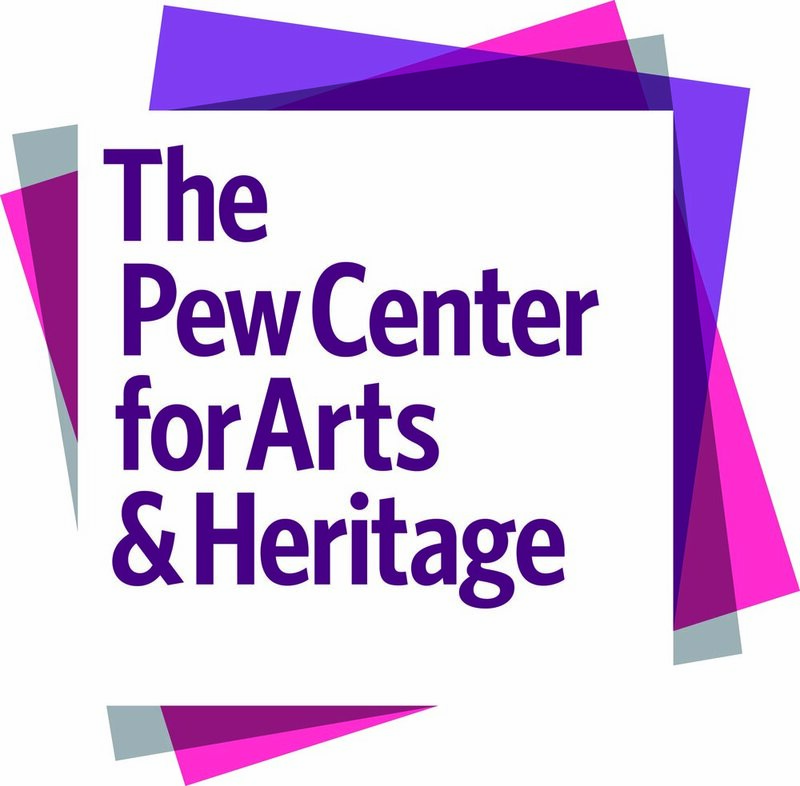 Major support for the project has been provided by The Pew Center for Arts & Heritage.